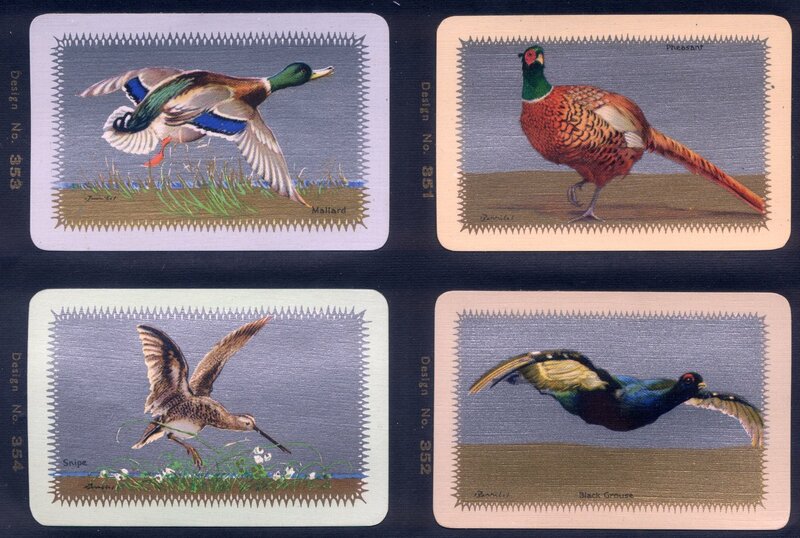 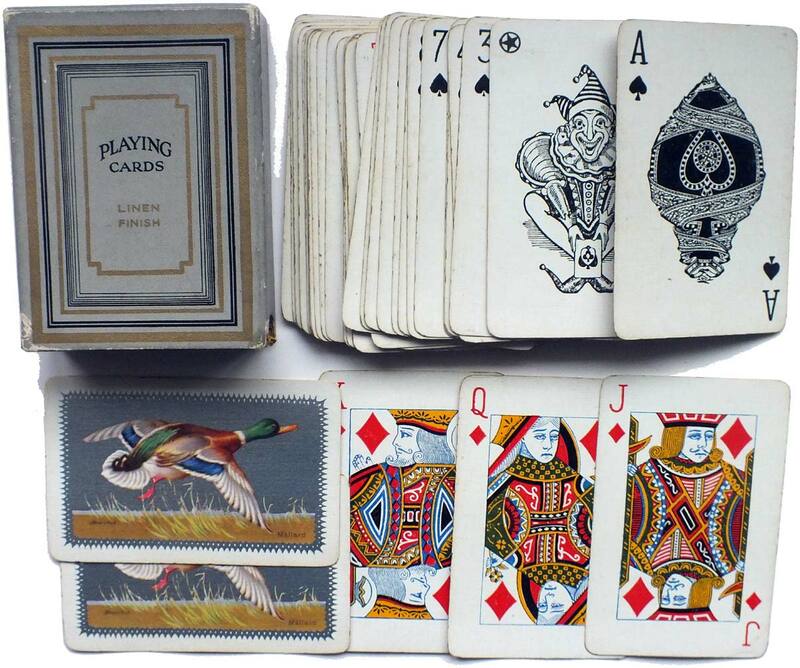 Above: Waddington’s Sporting Birds Series 1933, designed by Barribal. 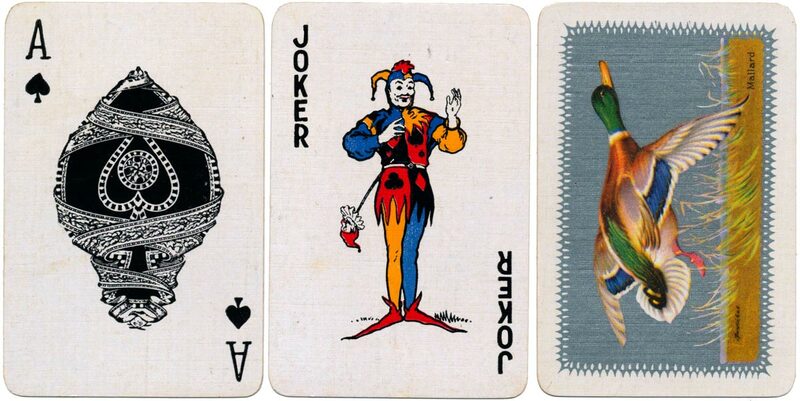 Above: the earlier cross-legged joker was replaced with a standing one during this period. 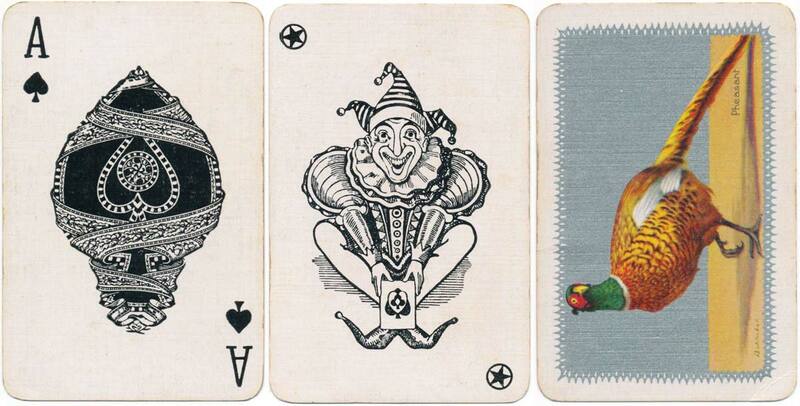 Packs with an anonymous ace of spades were also used for the Wills Scheme, 1933-34.